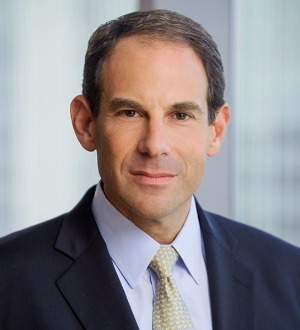 Stuart D. Levi is co-head of Skadden’s Intellectual Property and Technology Group, and coordinates the firm’s outsourcing and privacy practices. He has a broad and diverse practice that includes outsourcing transactions, technology and intellectual property licensing, privacy and cyber security advice, branding and distribution agreements, cloud computing agreements, technology transfers, strategic alliances and joint ventures. Mr. Levi also counsels clients on a variety of issues, including website and technology policies, intellectual property matters and legislative compliance. His background in computer science, data privacy and the information technology industry allows Mr. Levi to understand the technology and business drivers underlying agreements and transactions in this area. JP Morgan Chase in a co-branded global payment solution venture with AirPlus. Mr. Levi has written and spoken on numerous outsourcing, privacy, technology and intellectual property issues, and each year he co-chairs the Practising Law Institute’s Open Source Institute. He was selected as a member of Law360’s 2012 Privacy/Consumer Protection Editorial Advisory Board. Mr. Levi has been named byChambers USA as one of “America’s Leading Lawyers for Business” since 2004 and byChambers Global as one of the “World’s Leading Lawyers for Business” in technology transactions each year since 2002. In 1999, he was selected by Crain’s New York Business for its list of “Forty Under Forty — New York’s Rising Stars,” where he was cited for his work in Internet law. In addition, Mr. Levi repeatedly has been selected for inclusion in The Best Lawyers in America for information technology law.